Many times, a misalignment of the spine or other joints can occur, causing the joints to not move properly. This can put pressure on a nerve and cause irritation. It can also cause muscles that cross the joint to turn off. This is called a subluxation. Through a series of specific chiropractic adjustments, the pressure on the nerves can be removed or turn the muscles back on. Chiropractic is unique in that it lets your body heal itself naturally. 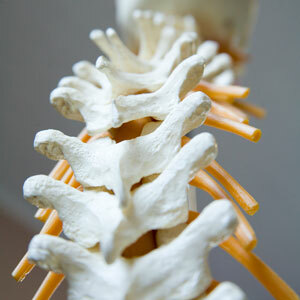 Chiropractic is the most successful form of healthcare for musculoskeletal problems. Chiropractic is also concerned about the integrity of the nervous system. Most patients will see results in just a few weeks, or even days. It has been shown to reduce the cost of treating back pain, reduce hospitalizations, and surgeries. Chiropractic has been around for over 100 years! It is safe, natural, and effective. Many people enjoy going to the chiropractor and continue to go to prevent problems and to enjoy complete health and wellness for the rest of their lives. Here are some of the techniques we use at Cornerstone Chiropractic. Chiropractic Care is For You! A body in motion tends to stay in motion, so whether your exercise routine takes you on a rigorous marathon trail run or simply around the lake on a sunny Saturday, chiropractic is for you! Chiropractic is the perfect complement to our regular routines, whether we are 2 or 102! It is a privilege to be a part of a profession with such a rich heritage and history, and I look forward to sharing chiropractic with every patient who walks in the doors of Cornerstone Chiropractic! I am eager to answer questions about chiropractic, and I understand that oftentimes, many people have had negative experiences or simply do not understand chiropractic. I am willing to take time to explain your care and answer your questions, so please don’t hesitate to ask. Contact us today to schedule your first visit!